Sorry for the delay in posts!!! I have a ton of stuff to post so I'll be doing that ASAP...the reviews may be a bit dated but rest assure they're still accurate! Now onto my review from lunch today! I found this by complete accident over the weekend when I went to get some teriyaki from Waba Grill. The restaurant is brand new and the staff inside is just waiting for someone to come in and try it out. They have a grand opening banner outside and a special of 20% off your whole bill through January 31st. I went back today to try it and ended up spending $17.58 for a lunch big enough to feed two people or more...including sodas! 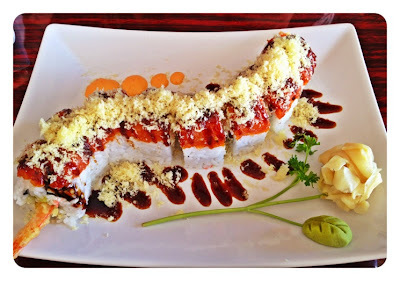 We ordered the Red Bull Roll, it was a roll filled with the california roll essentials and shrimp tempura topped with spicy tuna, tempura bits, and two types of sauces. It was pretty spicy so be forewarned. It's not quite as good as other sushi places that I've had a similar roll at but it was pretty good for the price. Fresh, crunchy, spicy and not overly fishy. The Chicken Teriyaki left much to be desired. My mom's first bite was a big hunk of fat so she spit it out and was immediately turned off by the remainder of the bento. The chicken was skinless and seemed to be thigh meat, which is the standard at most sushi places. It had teriyaki sauce and sesame seed on top. 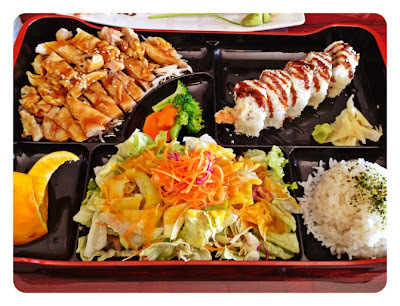 The teriyaki sauce wasn't the most flavorful and the chicken just was about C quality taste wise. 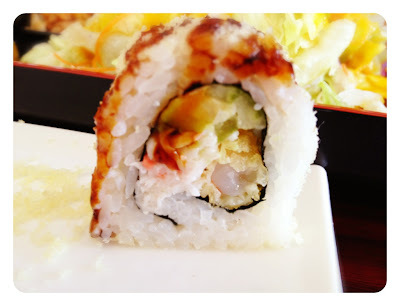 The bento included a Shrimp Tempura roll, which was pretty much the same thing as our Red Bull roll minus the spicy tuna. It was actually pretty tasty. We also received miso soup and salad with our meals. The detail to presentation is definitely something this restaurant should be complimented on. 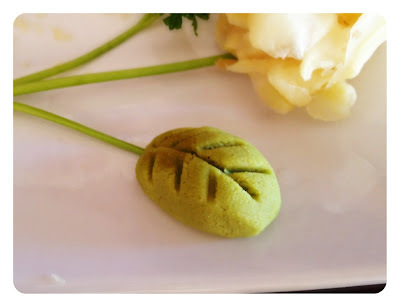 The wasabi was shaped like a leaf with detail and all. Our orange slices were shaped to look like what I thought were little sunburst and we had some fun shaped carrots in our steamed veggies. 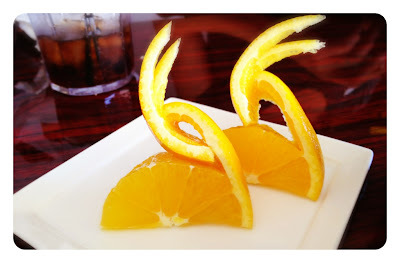 And who says you can't play with your food? All in all, this restaurant is pretty good for the prices (especially with the special going on right now!) The prices are really good even without the 20% off. 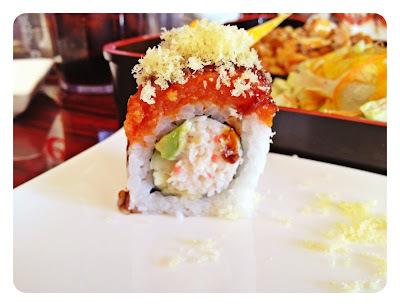 I'm giving them three stars because they are a new restaurant and will most likely get better with more reviews and customers, also their prices may be the best for a sushi place in all of Chino/Chino Hills. They can't serve alcohol yet as they're still waiting on their liquor license but the restaurant does promote it being "fine Japanese cuisine and spirits" so when they can serve up the booze (they said in February) this should become a pretty good place for dinner.